There are a lot of people that probably pass on that Friday afternoon stop by the “pub” for a refreshment because of the threat of having too much to drink and getting pulled over. I for one never drink while driving because I am terrified of not knowing my limit and possibly getting pulled over. So what do you do? If you are like me you just don’t do it at all. Well perhaps now there is a solution to truly know your limit and enjoy drinking responsibly without the fear of drinking too much! 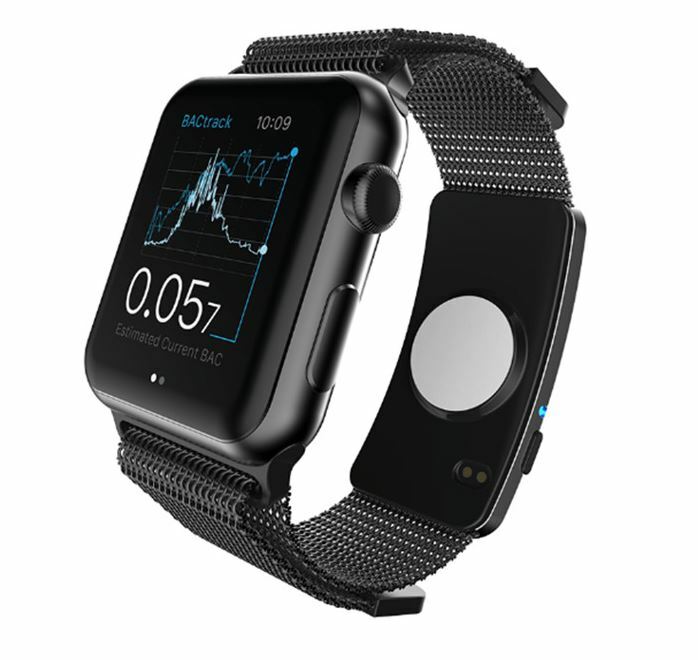 BACtrack has announced a solution that you can either buy as a wrist band or strap right on to your Apple Watch! 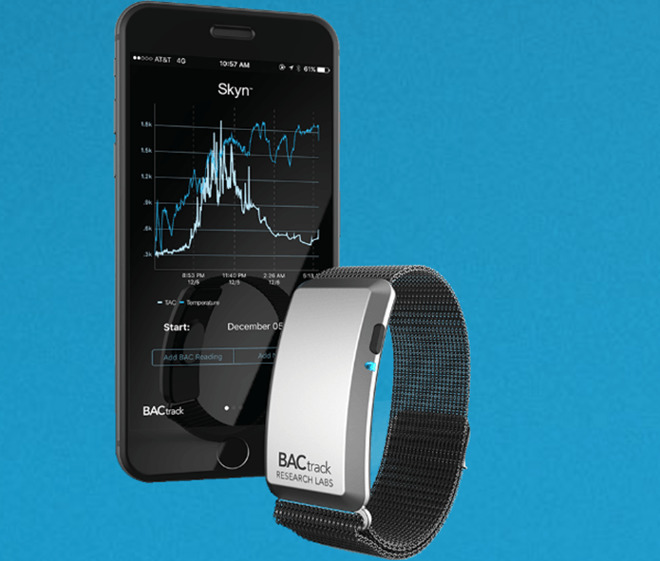 For $99 dollars the BACtrack “Skyn” model will not only keep track of your blood alcohol level but also let you know how your body is metabolizing the alcohol. Pretty handy information right there. It also will alert you to when you are within sobriety range or in other words safe, or at least legal to drive home. Could this be the start if knowing your limit and reducing alcohol related accidents and deaths? We can only hope. Check out BACtrack for more information and release date later this year. And from all of us here at Mobility Digest, please always drink responsibly and designate a driver when possible.